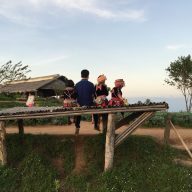 One of the more popular motorbike tours around Chiang Mai, especially amongst beginners, is the Samoeng Loop. 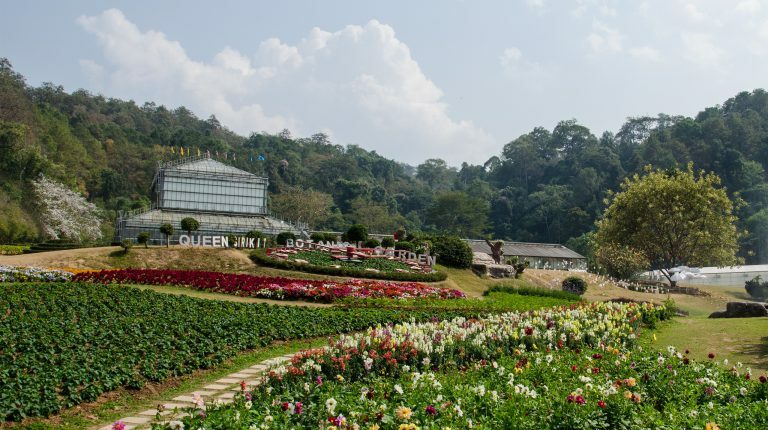 The roughly 100 km long route is populated with interesting sights, one of them being the Queen Sirikit Botanic Garden. The entrance fee to the botanical garden is THB100 for adults and THB50 for children. Motorbikes can be brought free of charge but there’s an additional fee of THB100 if you bring your car. Because of the vast size of the premises, walking from the entrance to the glass houses could easily take you over an hour. 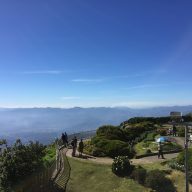 Luckily the entire complex is accessible by motorbike or car so you can reach all the different attractions without losing your breath. 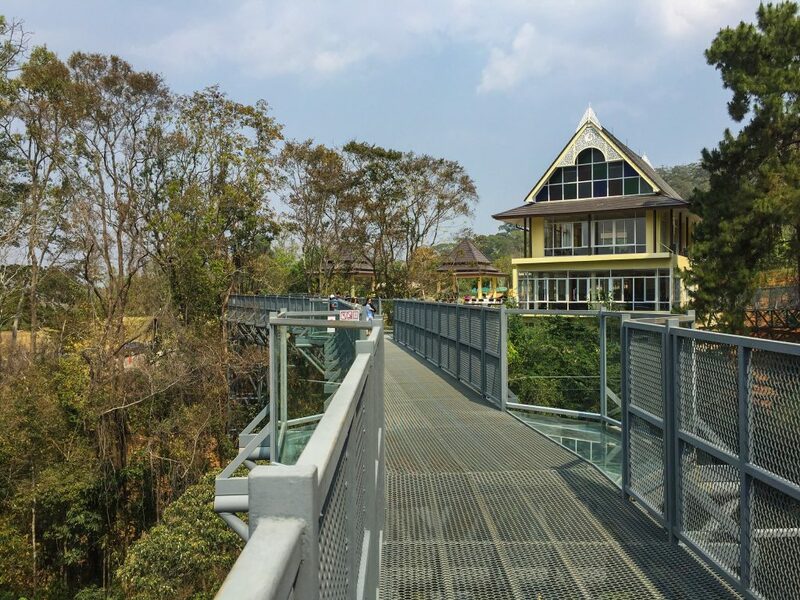 Queen Sirikit Botanic Garden is not only home to the flowers collections but also a few trails, an organic farm, a museum as well as the brand new canopy walkway. The entrance to the canopy walkway. 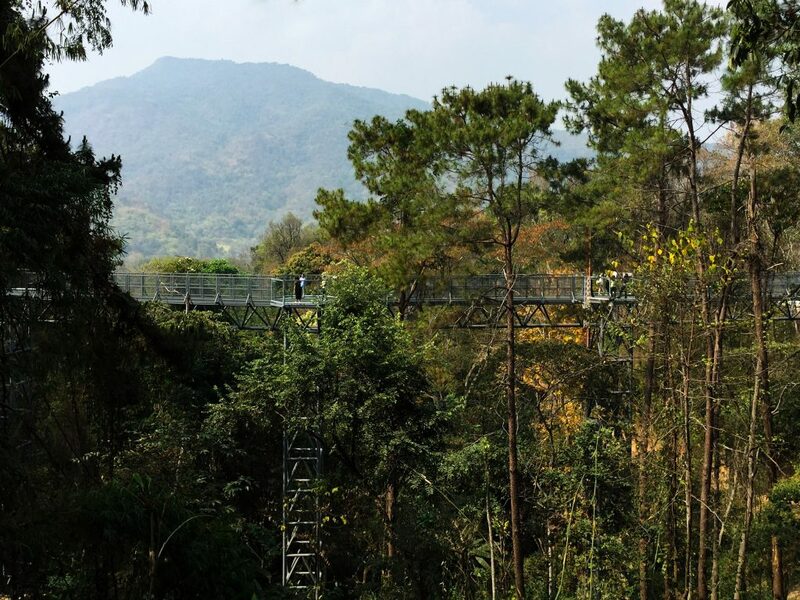 The latest attraction at Queen Sirikit Botanic Garden is the Flying Draco Trail, the longest canopy walkway in Thailand. 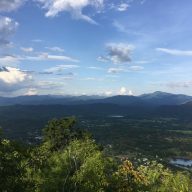 It is named after Draco Maculatus divergens, a type of flying lizard that can only be found on the Suthep Mountain in Chiang Mai. Even if you’re not lucky enough to spot one of the little creatures, the canopy walkway is hardly disappointing. 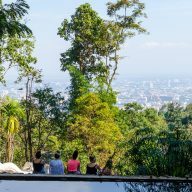 It offers a close look into the flora of the jungle as well as stunning views of the surrounding mountains from its view point. 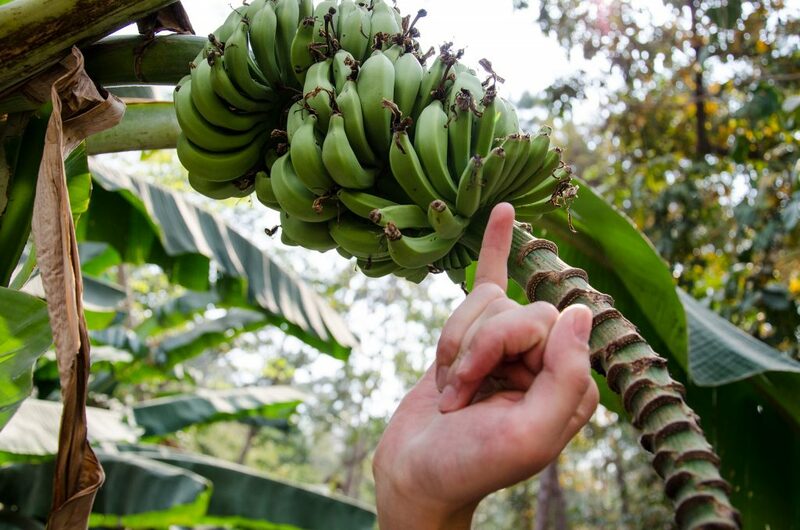 These little bananas are not yet ready to be harvested. Finger for scale. The views from the canopy walkway are just amazing. 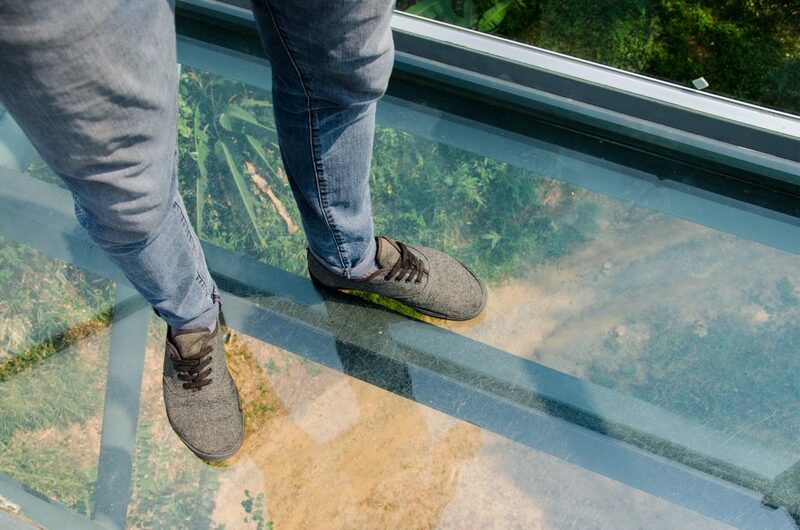 Since the Flying Draco Trail is built on high stilts and has a see-through mesh floor as well as a glass wall, it might not be suitable for those who are afraid of heights. 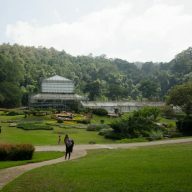 The main attraction at Queen Sirikit Botanic Garden is the glass house complex. It features eight conservatories with themed collections as well as a handful of outdoor flower beds. At the entrance you will find an inviting scenery with colourful flowers and a huge fountain that spreads refreshing water dust into the air. Follow one of the paths that lead uphill to reach the glass house complex. 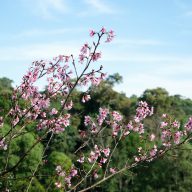 Here you will find orchids, lotus flowers, medicinal herbs, a small selection of carnivore plants and more. The collections are thematically spread throughout eight greenhouses. 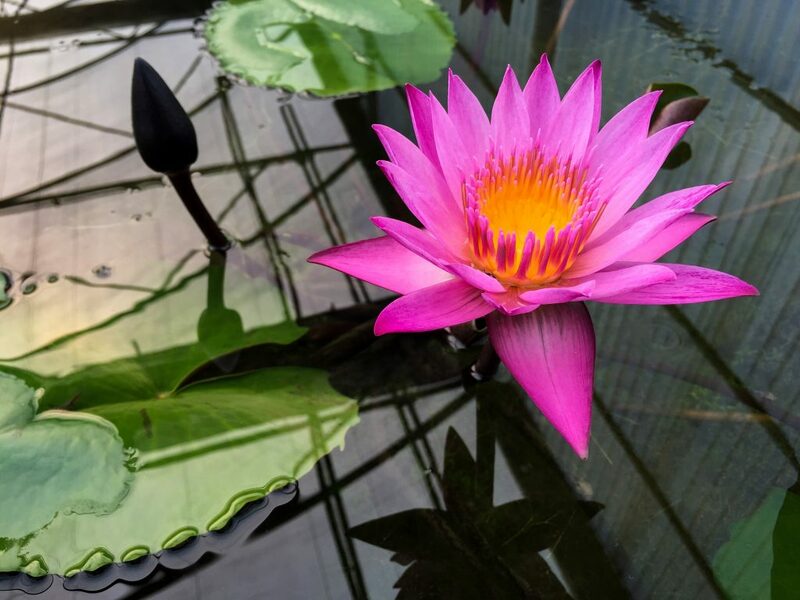 While some conservatories like the orchid collection or the tropical rainforest house are beautifully decorated, there are also a few barebones greenhouses that don’t offer much to please the eye but are still worth checking out, especially if you are interested in plants. 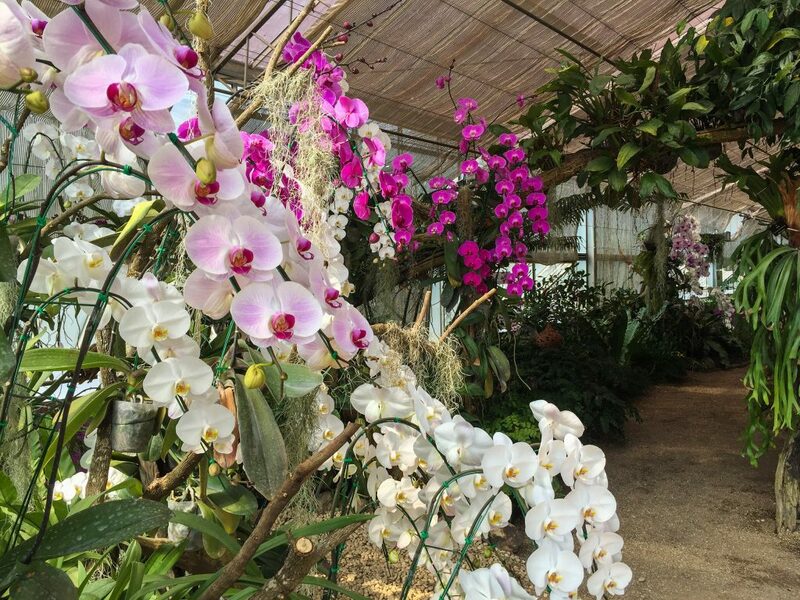 Colourful orchids are everywhere in this conservatory. My absolute favourite was the collection of cacti. 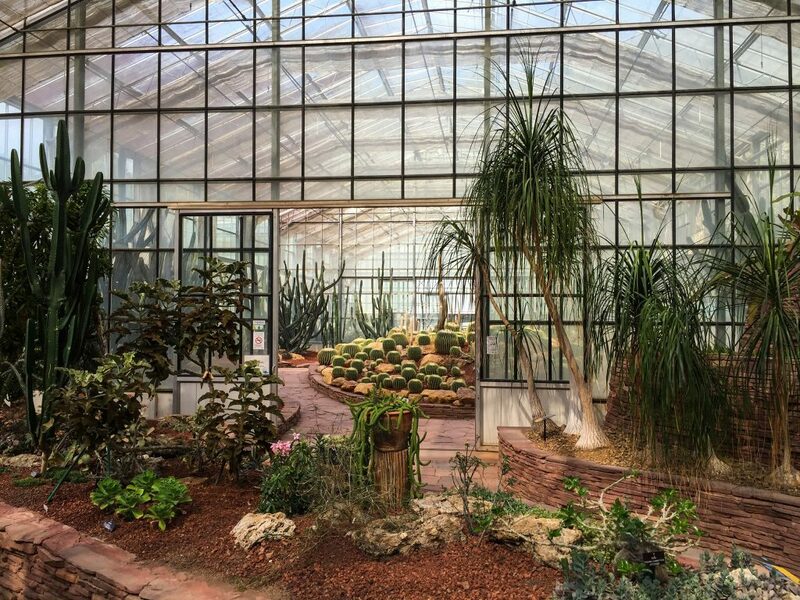 Even if a greenhouse appears unimpressive you should check out what’s hidden inside. Especially when travelling with children, you should consider checking out the Museum of Natural Sciences at Queen Sirikit Botanic Garden. The museum gives a great insight into the plant universe and comes with interactive displays as well as 4D movie screenings to keep it both fun and interesting for kids.